The Treasury is one of the highlights of Petra. Photo: Gayatri Bhaumik. 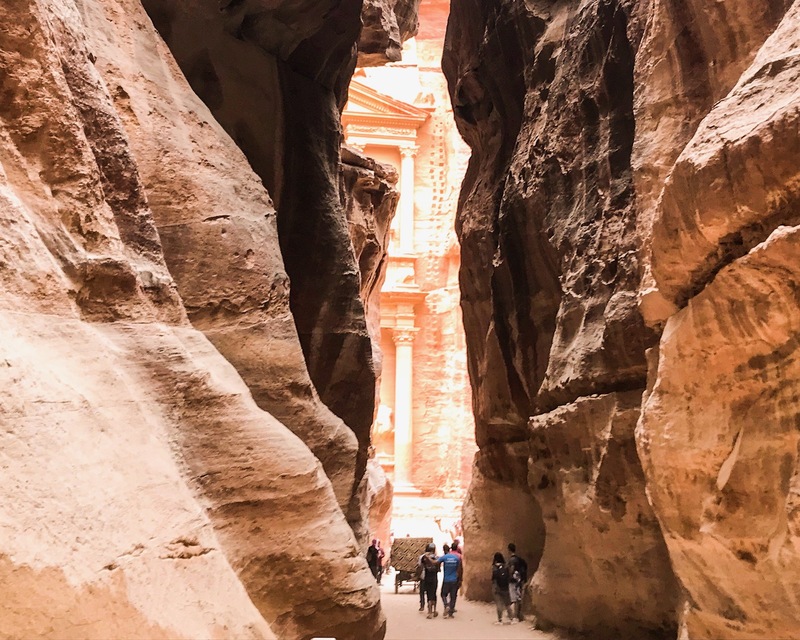 Since its release in 1989, Indiana Jones and the Last Crusade have inspired thousands of travellers to hop on a flight to Jordan and head to Petra. They may not be seeking the Holy Grail the way Indy did. But they’re certainly out to discover the mysteries of this “hidden” Nabatean city. And while most go just to get that Insta-worth shot with in front of the Treasury, there’s much more to Petra than that iconic façade. 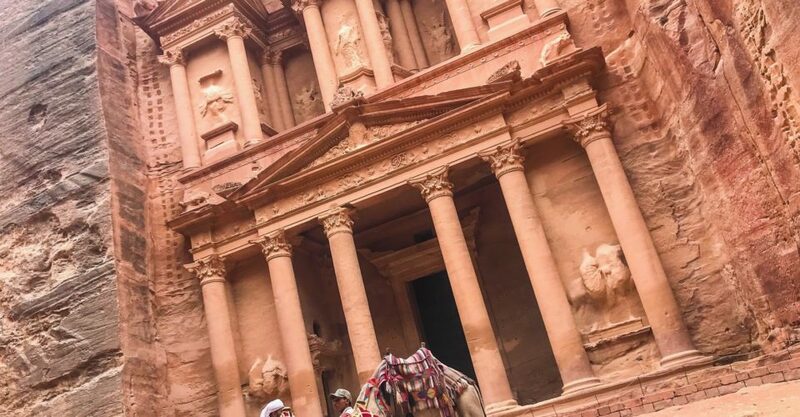 Here’s what you need to know about visiting Petra. The façade of the Monastery is even more impressive than the Treasury. Photo: Gayatri Bhaumik. Yes, the Treasury is amazing. It’s also probably a tomb, rather than a receptacle for treasure, but that’s a story for another day. Petra is huge, and you’d be doing yourself a disservice by thinking the Treasury is the be all and end all of your visit. Explore the colors and architecture of the Royal Tombs. See the later Roman influence at the Grand Theatre. Get spiritual at the Great Temple and High Place of Sacrifice. And most of all, be awed by the monumental façade of the Monastery, which measures nearly 50m x 50m. It’s a 2km hike through the Siq just to get to this view of the Treasury, which is just the start of Petra. Photo: Gayatri Bhaumik. Be ready to walk. A lot. Not to put too fine point on it, but Petra is huge. Approximately 60sqkm, in fact. All of which means you’d better be wearing comfortable shoes, because you’ll be walking more than you can even imagine. For context, to get from the visitor’s center to the Treasury – the first big monument – is some 2kms. And then there are the stairs. You’ll need to scale some 850 of them to get to the Monastery, and another 650 to get to the High Place of Sacrifice. And don’t forget, you’ll need to walk all the way back out again. Your ticket into Petra includes a horse ride that goes 800 metres from the visitor’s center to the start of the Siq (the massive canyon that leads to the Treasury). Within Petra itself, you’ll find plenty of camels for hire to get around different places, and donkeys to take you up the stairs to the Monastery and High Place of Sacrifice. Unfortunately, the animals’ owners also have a reputation for mistreating their steeds. Your best bet is to take lots of photos and try to avoid taking animals. If you must, try and look for an older owner. Given than the animals are their livelihood, older bedouins are more likely to look after their animals than the younger. Bedouins are the traditional inhabitants of Petra. 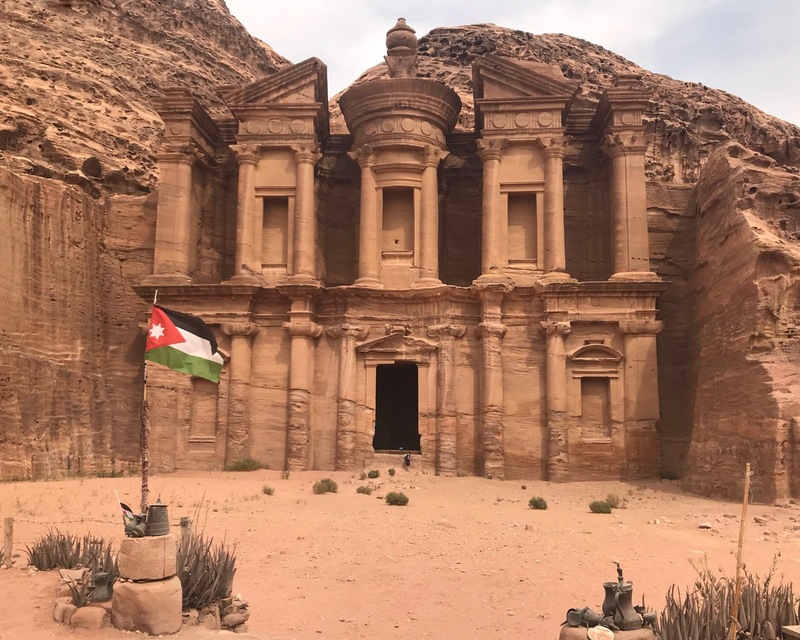 They lived in the city’s caves and tombs until the Jordanian Government moved them to purpose-built accommodation in the 1980s to protect Petra. Many of them still work in the site every day, setting up little stalls and teahouses all over the place. And all of them will encourage you to take tea with them and peruse their wares. Say yes. You’ll refresh yourself with sweet mint tea and hear incredible stories of Petra and Bedouin life. If you’re smart about it, these Bedouin stalls are also a great place to pick up souvenirs. Avoid the slightly cheesy sand bottles and boys selling 10 postcards for one Dinar. 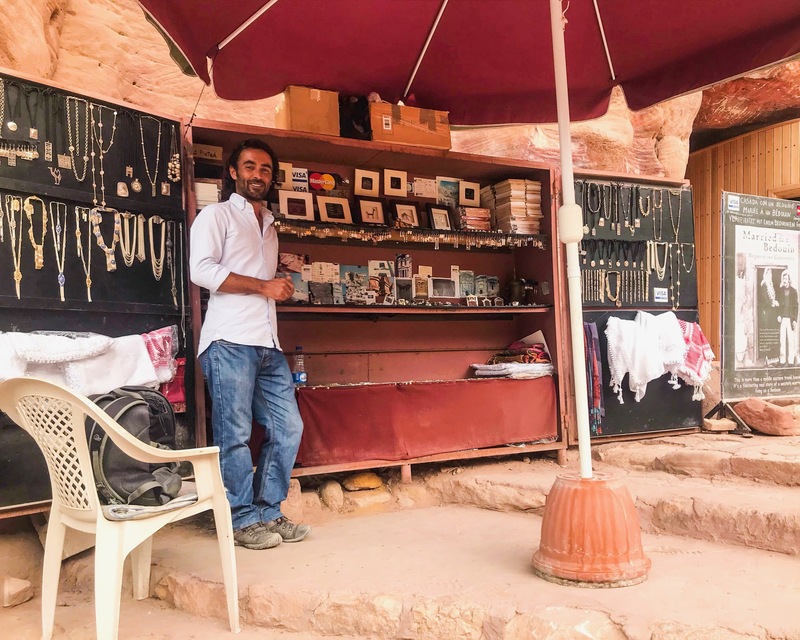 Instead, look for genuine Bedouin jewellery (they won’t be the cheap Chinese imitations being sold for 3 Dinars), fresh myrrh and frankincense, arabic koehl (eyeliner) and intriguing books only sold on site. Raami mans his mother Marguerite’s handmade jewelry stall on the Colonnaded Street. Photo: Gayatri Bhaumik. One of these intriguing books is Married to a Bedouin by Marguerite van Geldersmalsen. Marguerite, a New Zealander, visited Petra in 1978 with her family and fell in love with a Bedouin. She married him, and lived in a cave in Petra for years before the government moved them out. These days she sells autographed copies of her book, and special Petra-inspired jewelry from a stand on the Colonnaded Street. If she’s not there, you’ll probably run into her son Raami, who sports a Kiwi accent (he was educated there) and has some great stories to tell. Let’s be clear – there is food and drink available in Petra. There are two main restaurant on site, but these are significantly overpriced and don’t offer fantastic fare. Prepare for your visit to Petra by stocking up at supermarkets in the village – some fruit, hummus and pita bread will see you though. Get up to the Monastery early, then have your picnic at the teahouse opposite while taking in the incredible structure (just buy a drink, first!). Petra is still an off-the-beaten-path destination, but it’s still popular and you will run into many visitors, all wanting to take their perfect photo. Your best bet for getting amazing photos without the crowds is to go first thing in the morning – be at the visitor’s centre as soon as it’s open, then high-tail it down the Siq to get to the Treasury before anyone else. Another option is to enjoy the day and dawdle back in the afternoon. You’ll be able to get some great shots of the tombs, Colonnaded Street and The Treasury without many people – but with some camels and donkeys, for added cuteness. Petra by night. Photo: Gayatri Bhaumik. Petra by day is awe-inspiring. By night? It’s an incredible, once-in-a-lifetime experience. Three times a week, the site holds “Petra by Night“. 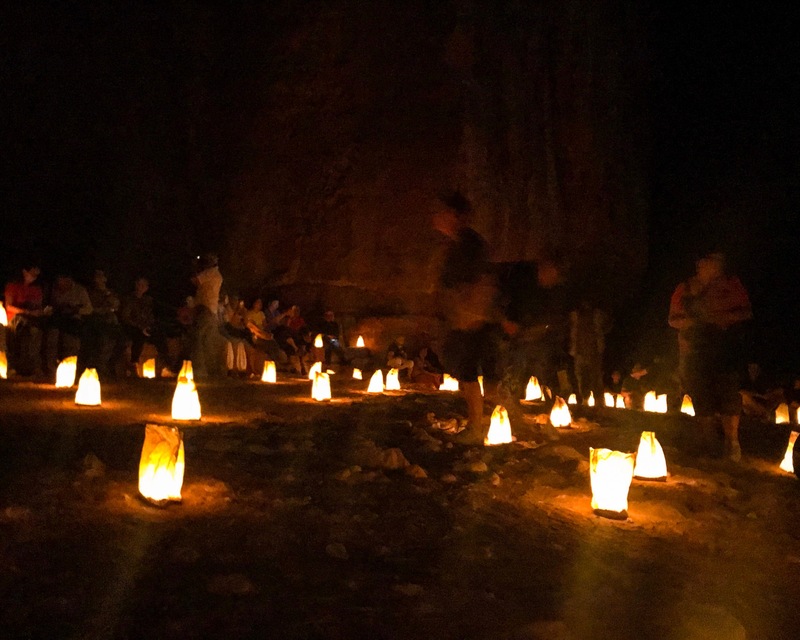 Visitors chase the spirit of Petra through the Siq – which is lit only by faint candlelight – before sitting down in the space before the Treasury and being treated to Bedouin hospitality. You’ll sip on sweet mint tea and hear live Bedouin music with the light of a thousand candles, before seeing the Treasury lit up in neon glory. Yes it’s slightly cheesy and slightly touristy, but really, you’ll never experience anything else quite like it. After a long, hot day at Petra, you’ll likely want nothing more than a cold drink. And you won’t find a better spot for it than the Cave Bar, which sits at the entrance to the site. 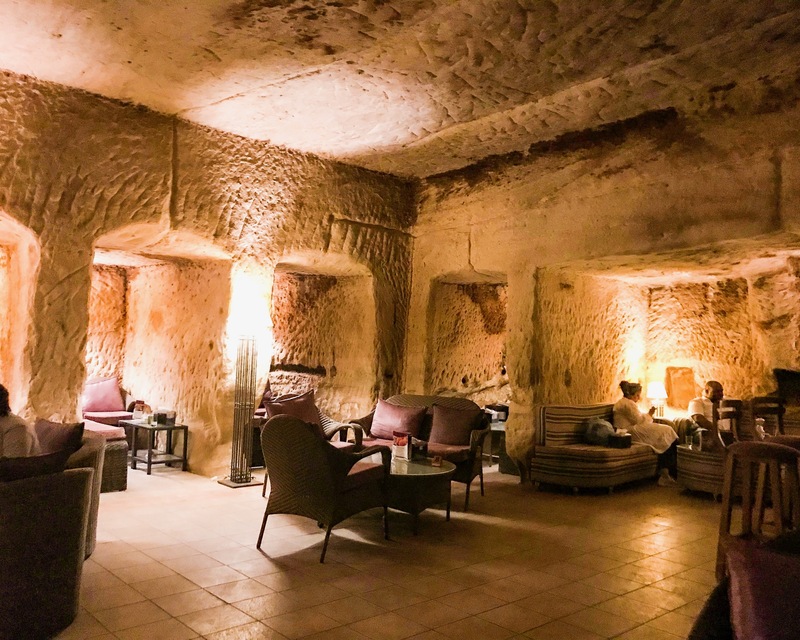 An original 2,000-year-old tomb has been given a new lease on life as a casual bar, and is one of the few places you’ll find the homegrown Petra beer. It’s the perfect spot to revive with a local brew. With these tips, you’re ready to tackle one of the most enchanting UNESCO World Heritage sites. Lace up your most comfortable shoes and get going!